Accessibility measures are generally concerned with equity and a better distribution of services in a territory and can be accepted as key variables for supporting supply/demand, location/allocation and service/catchment area related planning policies and strategies at national, regional, and local levels. Since accessibility measures need organization of huge and complex spatial data sets, accessibility modeling often lends itself to Geographical Information Systems (GIS) for analysis and presentation. Since numerous accessibility measures and modeling techniques ranging from simple to sophisticated can be found in the literature, this work aim to provide an overview of the theoretical framework and relevant background about GIS-based accessibility modeling process. The results could provide a significant support for the decision makers who are supposed to deal with transportation planning, accessibility modeling, location/allocation and service/catchment area related issues. The term accessibility has long been used by geographers, economists, urban and transportation planners and reflects the relative ease of access to/from several urban/rural services by considering several travelling costs (Halden et al., 2000; Makri, 2002; McGrail & Humphreys, 2009). Accessibility measures are generally concerned with equity and a better distribution of services in a territory and help to evaluate the proximity/availability of several services like health, education, recreation, emergency or trade etc. by considering one or more modes of transportation such as such as walking, cycling, driving or public transport etc. 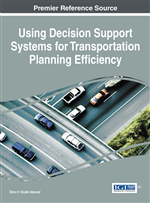 test and improve the performance of the transportation system. That is why, accessibility measures can be accepted as key variables for supporting supply/demand, location/allocation and service/catchment area related planning policies and strategies at national, regional, and local levels (Makri, 2002; Juliao, 1999; Kuntay, 1990; Halden et al., 2000; Radke & Mu, 2000).